This will be sloppy because I had the bright idea of drinking these back to back and at 7.5% and 8.5% I've very nearly forgotten how to type ( prologue to my edits). Two years ago I had the bright idea of making a beer for my mom that she would like as a wine drinker and a wine that my dad would like as a beer drinker. It was a combo white grape Belgian triple and it was delicious. Since then I have found various examples of similar concepts and i believe our host has a kit (but I'm too to find it). 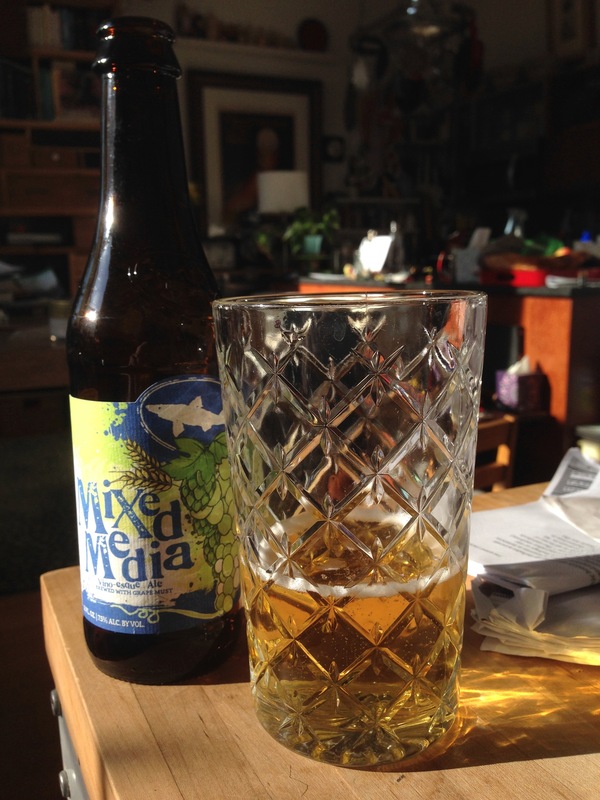 Mixed Media from Dogfish Head. "The closest an ale can legally be to wine! With 51% of the fermentable sugars coming from grain and 49% coming from grapes, " and I will take their word on the legality of this statement. It's good, what a white wine spritzer should be without all that water (blech). At 7.5% it is still light and not too thin. The white wine aspect comes across as a spice quality not unlike a saison. Is it worth the extra $4 over other six packs? I say yes. 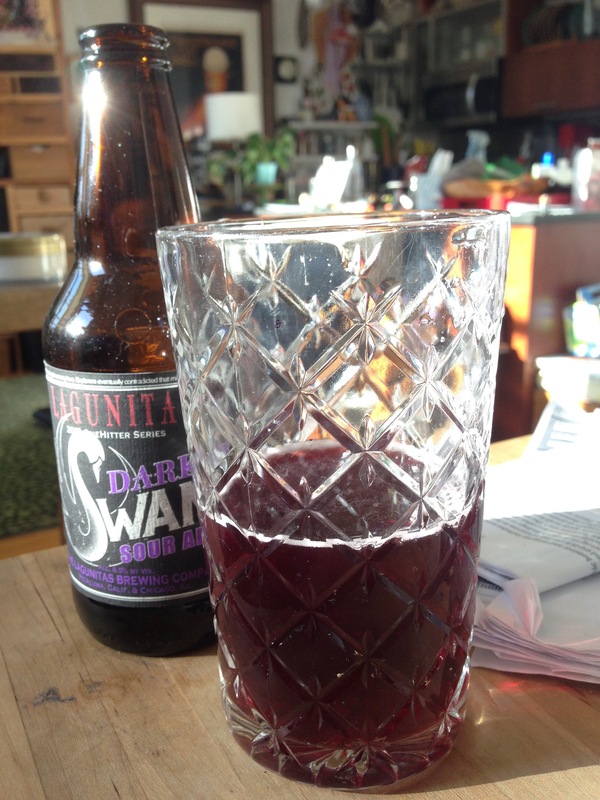 Dark Swan is "an experimentally hopped sour ale fermented with dark red wine grapes"
This was purchased at our local grocery store by my wife (I went to other store and nobody has it). The sour aspect of the beer is understated by what I've experienced as sour beers. The red wine comes across very strongly but cleanly some sweetness to balance to sour. I would say that the experimental hops are very understated and I wish I knew what they did because I would do the same tomorrow. At 8.5% it was a nice pour to be split two ways.